This set features a cream tulle skirt paired with a peach bustier blouse with sweetheart neckline and floral embellishments. 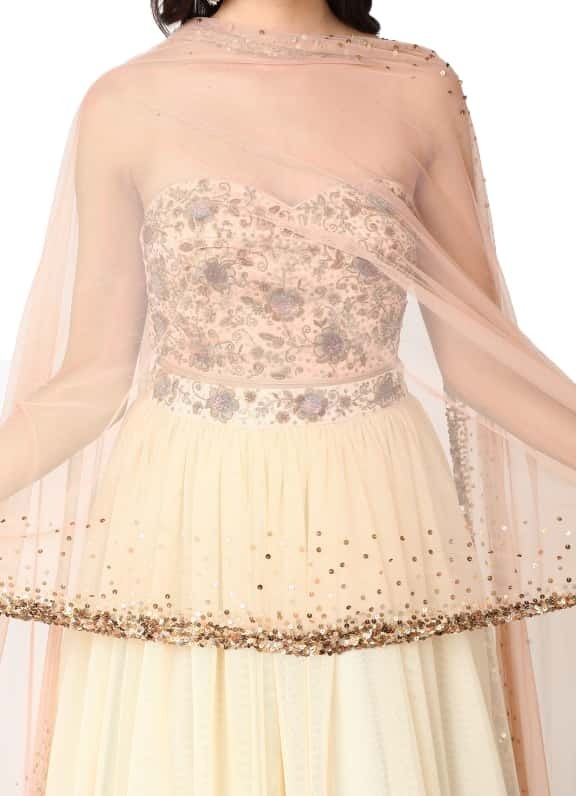 This lehenga set is straight out of a fairytale. 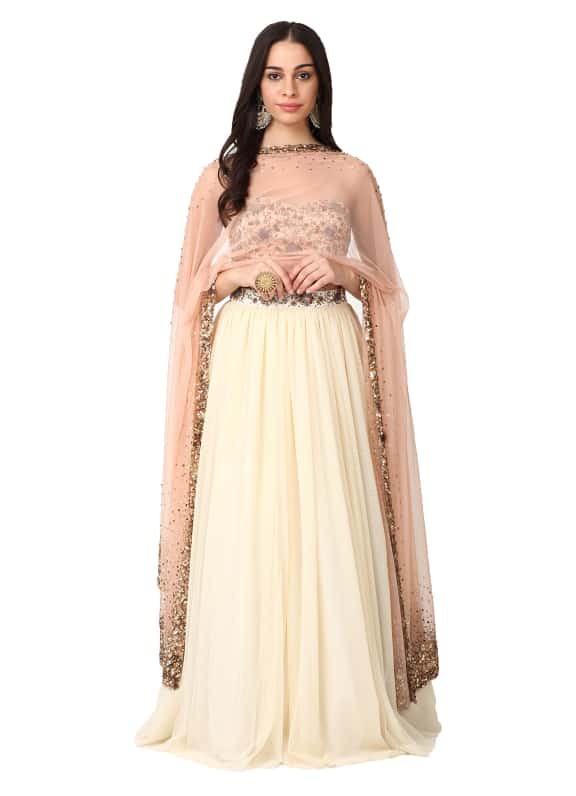 Wear this gorgeous ensemble with a pair of Amrapali Earrings and an Amethyst ring.